Tech source: Traffic Technology Services Inc. The technology, known as Green Light Optimized Speed Advisory, uses vehicle-to-infrastructure communication to recommend the ideal speed for drivers to "surf a green wave" and reduce the number of times they must stop for lights. The technology functions through the Audi Connect Prime communications suite and receives its information via the vehicle's onboard 4G LTE data connection. When a broadcasting traffic light is red, the vehicle's instrument cluster or head-up display shows how much time remains until the signal changes to green. 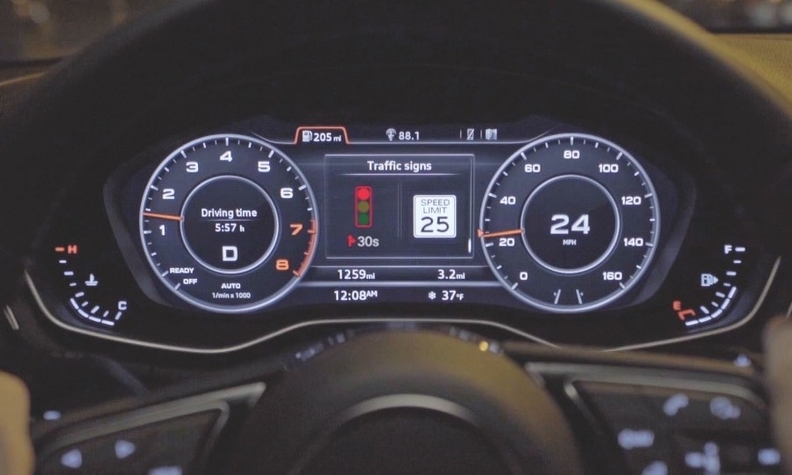 Audi says the added information helps reduce driver stress.